The Evangelists , Deacons and Pastors of the South East of Lake Victoria Diocese (SELVD ) are dedicated men who work hard. 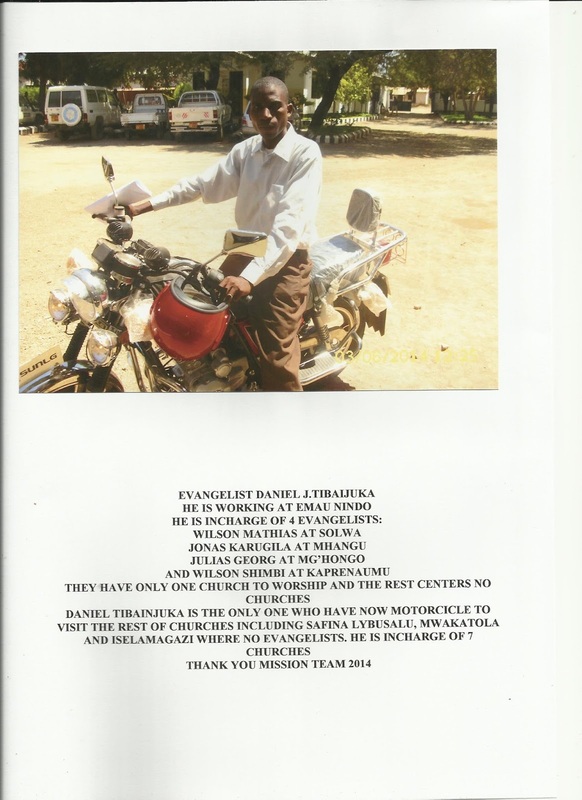 Bishop Emmanuel Makala sent the pictures of the Evangelist Daniel Tibajuka who was the evangelist that just received a motorbike. Each Saturday night he got on a bus to take him closer to the congregations he served. He then walked 15 miles to the congregations due to the distance. The 2014 mission trip were told of this during a farewell dinner at the home of Bishop Makala. 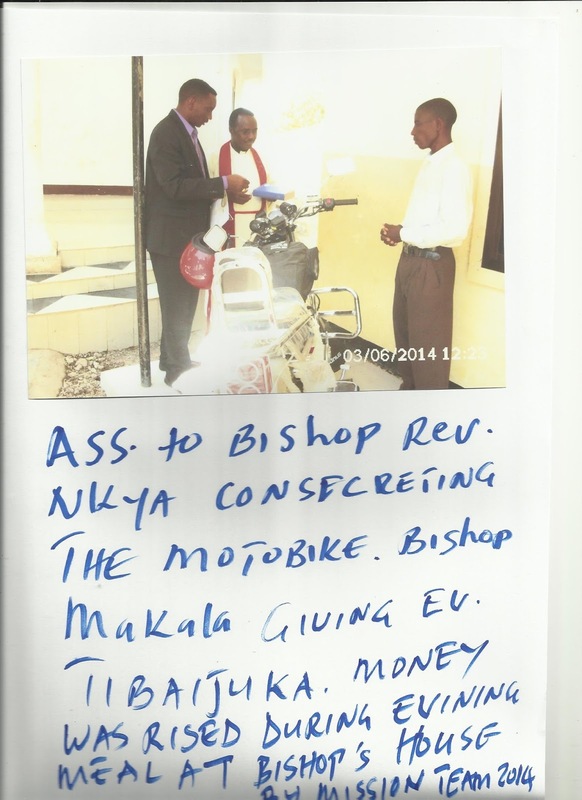 The Mission team dug down deep in their pockets and was able to raise enough money to see that Evangelist Tibaijuka had a motorbike. Enjoy the pictures....they are worth a thousand words.